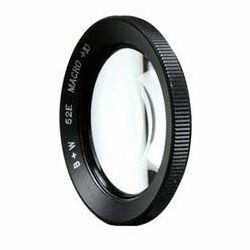 The B+W 58mm Macro Close-up +10 Lens (NL10) is a close-up diopter lens which allows you to decrease the minimum focus distance on any lens, in turn increasing the effective maximum reproduction ratio of your lens. This lens' dioptric power is enough to simulate true macro-like performance (up to 1:2 or 1:1.5). It is recommended to use middle apertures, such as f/8 or f/11, in order to achieve corner-to-corner sharpness. This filter also does not feature front threads and is not meant to be used in combination with other filters. B+W filters are constructed from high quality Schott glass for increased optical clarity and color fidelity. 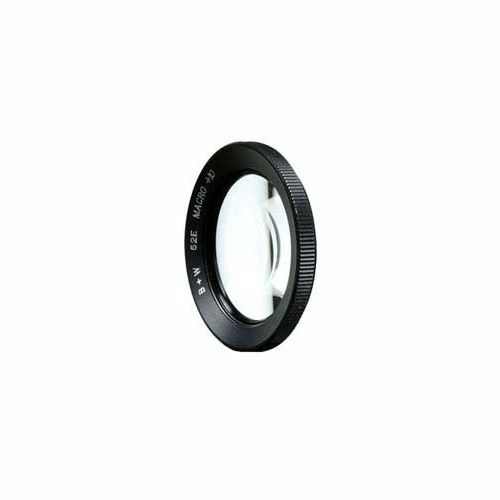 This filter has a single anti-reflective coating, which helps to improve light transmission to over 98% while preventing internal reflections and ghosting. Additionally, it features a brass filter ring for increased durability as well as jamming prevention. Achieve true macro-like reproductions ratios up to 1:2 or 1:1.5.